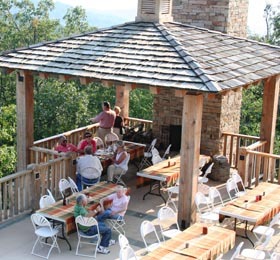 The mountaintop clubhouse was the place to be for the Retreat Summer Barbeque. Home owners and guests were invited to enjoy the new 7,000 square foot clubhouse high a top White Rock Mountain, elevation of 3,172’. 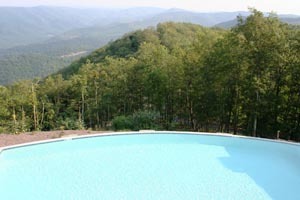 The Retreat spans over 900 acres overlooking the Greenbrier Valley with over 500 acres preserved as open space. 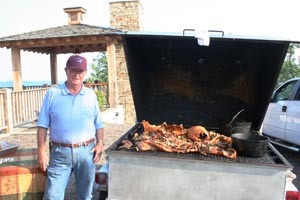 The roasted pig prepared by Walter Rogers from Port Royal, SC was incredible and his special family recipe for barbeque sauce was out of this world. Job well done Walter! 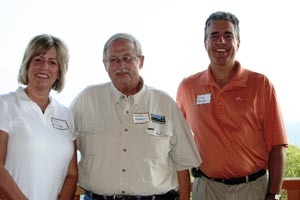 Charles Ausburn, Broker and wife Janie always know how to throw a party for their guests. The clubhouse that is carved out of the mountain side offers a spa, outdoor grotto spa with hot tub, a kiddie pool and outdoor infinity pool with awesome 360 views of the Greenbrier Valley. Homeowners may enjoy a variety of outdoor sports and activities throughout four distinct seasons: kayaking, canoeing, tubing, fishing, hiking, biking, swimming, horseback riding, caving, rock climbing, golfing, white water rafting and winter skiing all with a spectacular view. 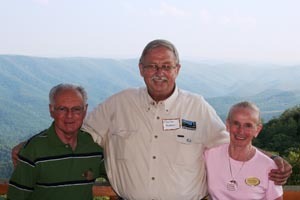 Jill and I were guests of Ken and Lou Ford property owners at the Retreat. 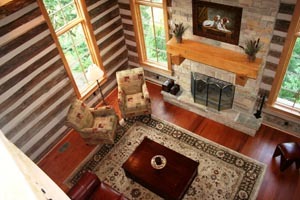 We enjoyed meeting several property owners and other guest. 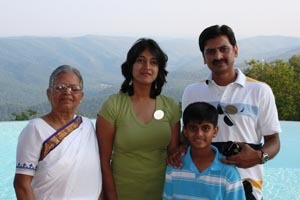 Samir Kabiraj and family traveled from Fairfax Va. Mr. Kabiraj plans to use The Retreat for a weekend vacation destination. 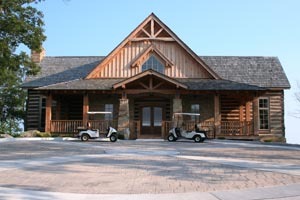 Please enjoy our pictures from the event and to learn more about Luxury Mountain Homes in West Virginia and The Retreat on White Rock Mountain visit www.theretreatwv.com or www.GregAllman.net.